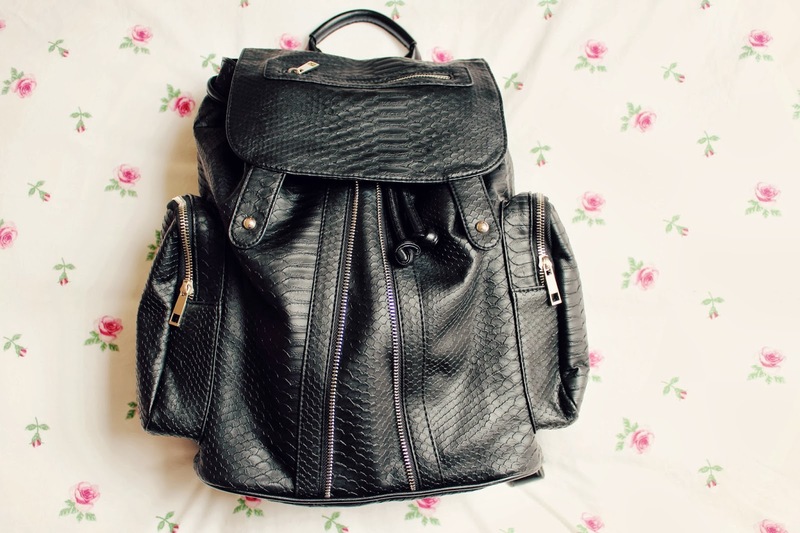 What's In My Uni Bag? I recently started university and haven't done a "What's In My Bag?" 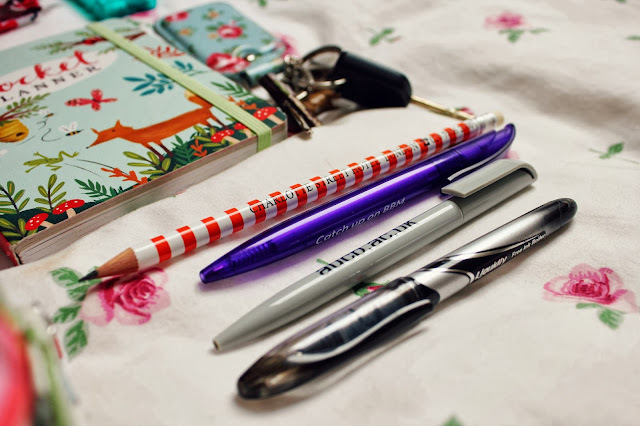 post in ages so I thought I could combine the two and do a "What's In My Uni Bag?" It's not going to be the most thrilling mixture of items as I'm only in uni for a couple of hours three days a week so I don't need to take much! My bag is from Topshop, I had wanted a rucksack for ages, I have had one before but it wasn't very sturdy like this one is. It has two pockets on either side, a pocket on the flap and a pocket inside so there is plenty of space. I carry a notepad to take any notes in my lecture, if you don't know, I study Media Production, so at the moment I have notes on camera's, pixels, camera angles and composition, I make it sound so exciting..Sometimes I carry my laptop with me, this is only if I have a break or if I have time to kill but generally I don't need it as I don't have any long breaks! I also have my Cath Kidston purse which houses no money as I am rubbish and rarely carry any! Tut tut! I just keep my bank card, uni card, boots card and some coins! 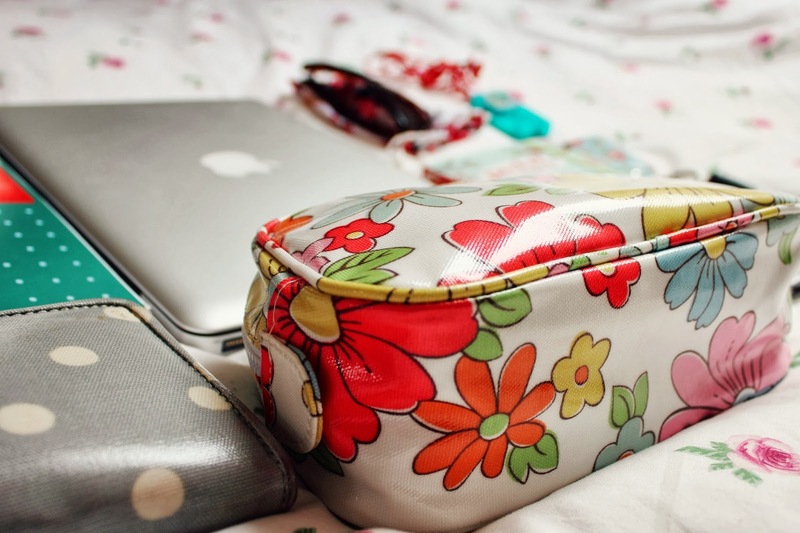 I have this Cath Kidston Makeup Bag where I keep things like hand sanitizer, "girly items" and makeup, I hate having things loose in my bag so this is perfect! I have my River Island sunglasses, even though the summer is long gone! This is just incase the sun is a little bright while I'm driving! I carry headphones just in case I have a break, I also have to get to uni quite early to get a car park space so sometimes I listen to music in my car! I carry Tic Tacs as I eat a whole lot and always have mints after food! I carry this adorable planner, I am so in love with it, it was such a good find, I had wanted a "days of the week planner" for ages but didn't want one that had set days eg. 5th November 2013, it just has Monday-Sunday and I can write in it whenever! I them have my house and car keys on my Cath Kidston key ring and some pens and a pencil for writing notes! You are quite organised, indeed! I love the planner. 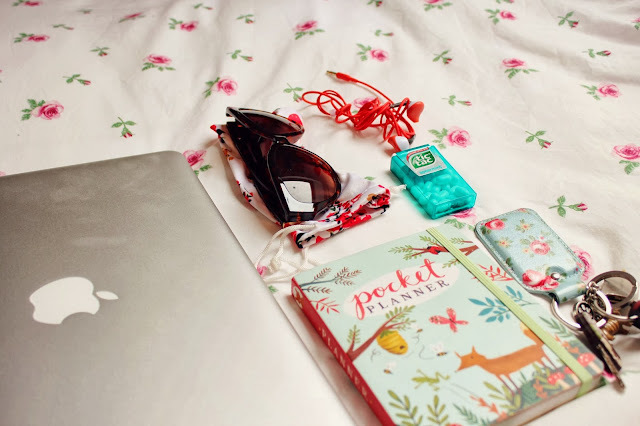 All your Cath Kidston stuff is so cute! 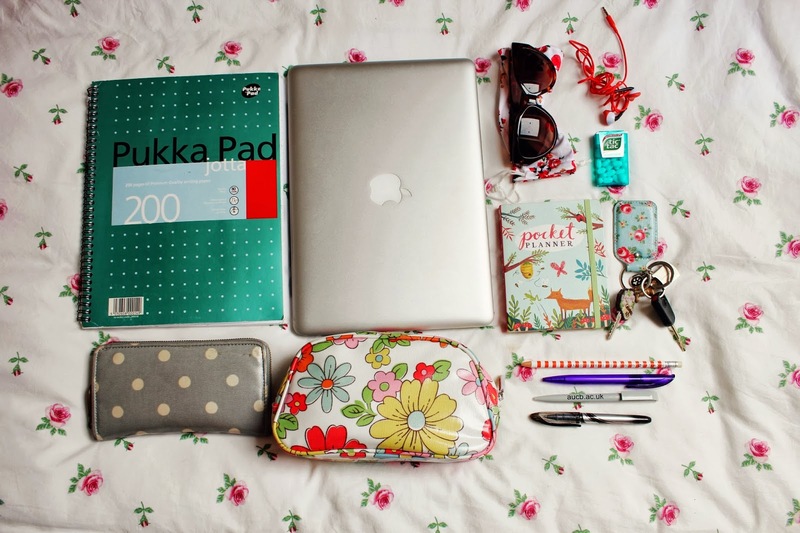 Especially the make-up bag, things like that are my weakness, they are too pretty.